The man and woman at the center of the Gone Girl kidnapping in Vallejo, California have filed a claim for damages against the city, which may foreshadow a future lawsuit. 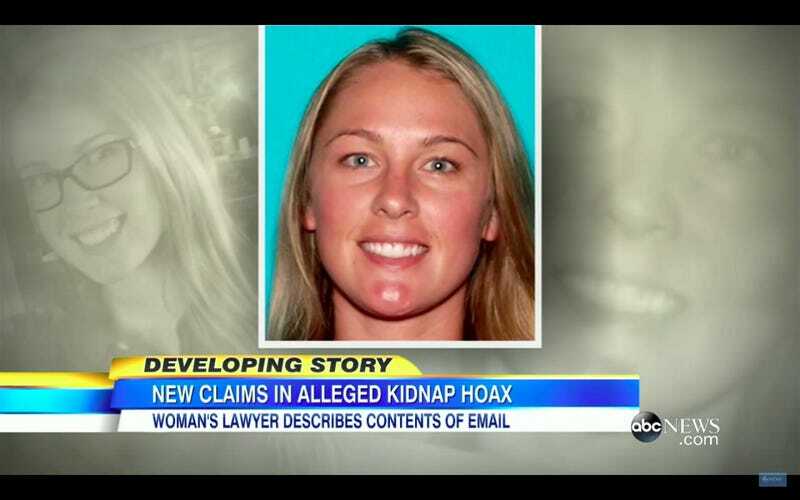 In March, Denise Huskins was kidnapped from her boyfriend Aaron Quinn’s home in the middle of the night and her abductor demanded $8,500. Quinn called the Vallejo police but when Huskins turned up shaken 48 hours later in Huntington Beach, police assumed that the couple had concocted the story and publicly called it a hoax during a press conference. Then in July, it was revealed that Huskins was indeed kidnapped by a man named Matthew Muller who was arrested in Dubin, California in connection with a similar home invasion. In July, Muller even admitted to kidnapping Huskins during an interview with a reporter which he thought wasn’t recorded, adding that he thought she deserved an apology. The claim also says that when Quinn reported his girlfriend missing to police, he was interrogated for 18 hours, during which he was accused of lying and murdering Hutchins himself. Quinn adds that Muller even called him twice after Huskins’ disappearance but the police did not monitor his calls as part of an investigation, indicating that Muller could’ve been caught earlier at his Lake Tahoe hideaway, where he was eventually captured in July. “Given that Denise had ‘inconveniently’ shown up alive, VPD maliciously transitioned [from its assumption that Quinn had killed Huskins] to the hoax story to avoid criticism for its initial and utterly false accusations of murder,” according to the claim. In the claim, Huskins adds that her story was also dismissed by police. Instead of hearing her out, authorities offered her immunity if she’d just confess to the hoax because Quinn, they said, was already cooperating and whomever talked first would get immunity. The city of Vallejo had no comment at press time, but what would they even be able to say at this point?